Last week, the government in the impoverished Caribbean country announced plans for major fuel price hikes -- 38 percent for gasoline, 47 percent for diesel and 51 percent for kerosene. Hours after Lafontant announced his resignation, President Jovenel Moise appeared on television to deliver a short speech, saying he wished to "gather all the forces of the nation, without losing any time, to form an inclusive government with the aim of alleviating the people's misery and develop agriculture, energy and infrastructure." The head of state added that while he understood the many were suffering from unemployment and hunger, "violence is not compatible with either development or democracy." 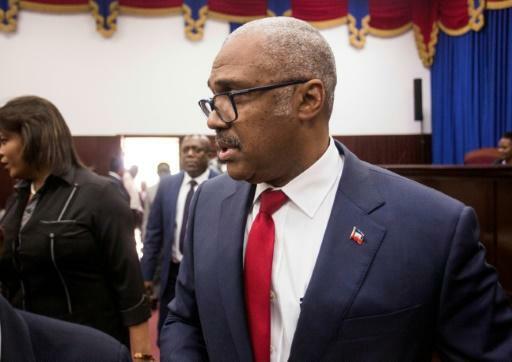 Moise will now have to appoint a new prime minister -- a delicate political exercise in Haiti, where a new government's general policy plan must be approved by both houses of parliament before it can officially begin working. "It's not just a question of changing the prime minister, because day by day, the people are still suffering from more misery, unemployment, insecurity, hunger," said Fleurette Pierre. "We will continue to support Haiti... as they develop a revised reform strategy," IMF spokesman Gerry Rice said, noting that ending subsidies would free up funds for other programs such as education. Crafting a revised strategy -- and divvying up Haiti's meager budget resources -- will be a delicate task. Now, Moise's government has to find a way to appease all sides -- angry and impatient consumers, politicians with varying interests and IMF economists. 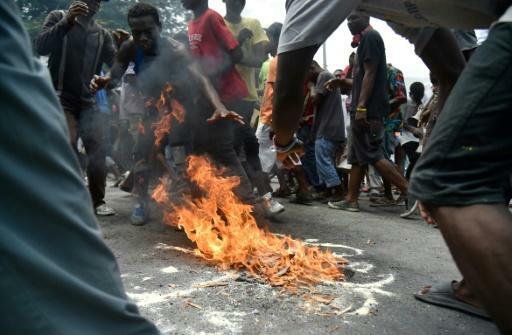 Haiti's deep levels of inequality are often cited by protesters who want both Lafontant and Moise out of office. More than 200 years after gaining independence from France, Haiti is still ranked by the World Bank as having one of the planet's most unjust societies.